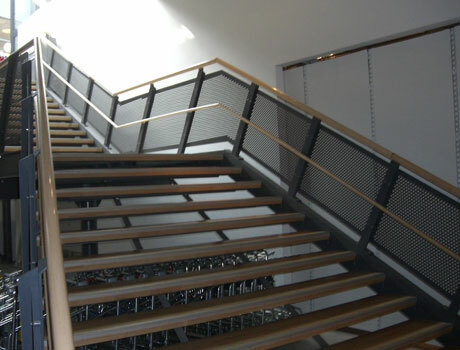 External and emergency fire escape stair covering with panels of expanded metal sheet net. The degree of shielding can be selected. This helps to improve the visual impact of structures which result disharmonic in the overall project, by making it lighter. In addition to the natural flame-blocking action of the grid, ventilation of the stairwell is guaranteed at all times, even in the case of fire.